EA just released Level 53 and in this post we’re going to walk you through the premium questline for Stacy Lovell. Join us right after the jump to start the fun! Ms. Lovell, creator of the Malibu Stacy dolls! What are you doing here? 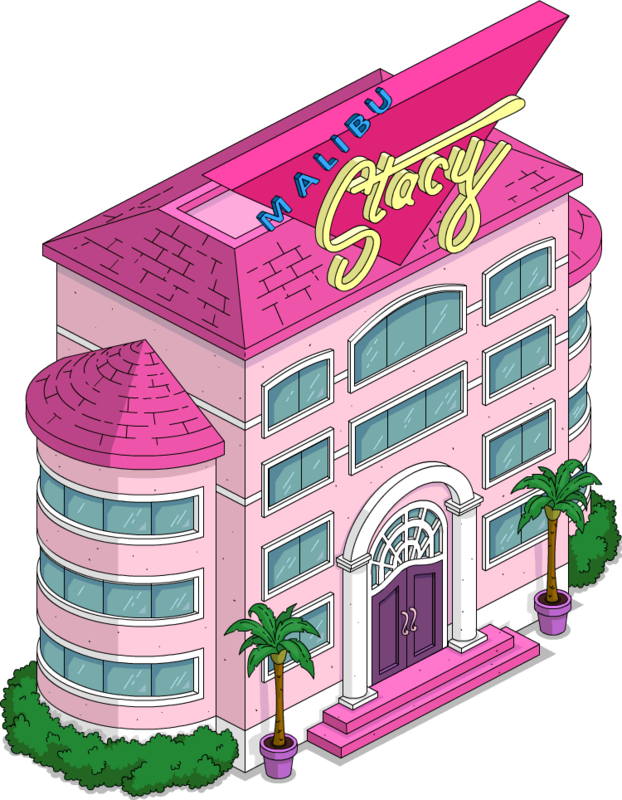 The executives at Malibu Stacy Headquarters have brought me back to save the company. No, I meant what are you doing here outside my house, hiding in my bushes? I’m trying to observe the target demographic, playing in their natural environment. Think of me as a prettier Jane Goodall, and you as a slightly less hairy ape. Okay. Jane Goodall’s actually one of my heroes. What a coincidence – I’m one of my heroes! Lisa, it’s been two hours and you haven’t touched a single doll. Not even Touch Me Tammy… which I thought was recalled. Yeah I guess the internet and digital age have made playing with tangible, physical toys feel kind of dated. Yeah, man. Why play with dumb dolls or figures when you can just play a video game? Woo hoo! I just got 1,000 bonus points on Dumb Dolls and Figures! Now I can upgrade my Dumb Doll to a Figure! But why play with a digital version when you can play with the real thing right here? Because your friends can’t see how much you’ve accomplished and evaluate those accomplishments with a system of likes and hearts. Ugh, another story about games in a game? Let’s hope this one doesn’t get too meta. Thank you very much, young man. I believe I now understand the series of tubes and tunnels that is the internet. That isn’t what the internet is at all! And why are you listening to Bart about girls’ toys? He thought Computer Science was a class where the computers do the science for you. Calculators do math for me. And Martin does English for me. It seemed like a natural progression. I’ll talk to anyone, Lisa. Inspiration comes from the unlikeliest of places. For instance, I thought of Malibu Stacy while driving in Malibu and thinking about my own first name. 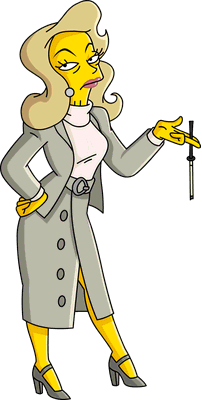 Members of the Board, I present to you the next generation of Malibu Stacy – myStace! You had millions of dollars to develop a new doll and you created a game instead? Why would anyone want to waste thousands of hours playing a game with no real goal or actual challenges? Fine, you can go ahead with the project. Not because of this presentation but because we can’t go to lunch until this meeting is over. Welcome to the first test of myStace, the new Malibu Stacy video game and toy line. Purchase all the Malibu Stacy dolls and accessories you already have in real life, but now in digital form. The dolls look so real, you can almost touch them. But you can’t. And according to this price sheet, they cost more than the ones you can. Shut up! I want that digital Malibu Stacy hat! This myStace game has been a huge success! There’s even talk about reinstating me as CEO of Malibu Stacy. Talk by me, but talk nonetheless. That’s great, but what are you doing here? I came to thank you and present you with our new myStace Stacy Doll. If you put it on the separately purchased myStace game stand, you can have an in-game tea party with all her separately purchased friends. Thanks, I guess. But I meant what are you doing here hiding in the bushes outside my house again? Oh that? I just like spying. Were you up all night playing that game? My fashion score is too low. And I can’t seem to boost my friend count. At this rate I’m going to end up an uncool, friendless nerd. Can you imagine? The current high score is held by a gamer named Milhouse. Do you think that’s our Milhouse or that weird guy who lives in the grain factory? I used all the pity money that I got in my parent’s last divorce to boost myself to the top of the myStace leaderboards. I’ll gladly give all my points to you if you hold my hand for 15 minutes. In-game or in real life? Oh man, this is a real Stacy’s Choice. Lisa, what are you doing holding Milhouse’s hand? Is this how low you’ve stooped to get digital doll accessories? Eek! You’re right. What kind of monster have I become? You know I’m standing right here. Companies aren’t serving consumer needs – they’re creating them. They’ve got us collecting figures that won’t even work with the next version. It’ll work with the next version, after a nominal ‘upgrade’ fee. Per figure. This is all for now, happy tapping! Next Terwilligers Takedown: Last 24 hours for the Bob Clones!